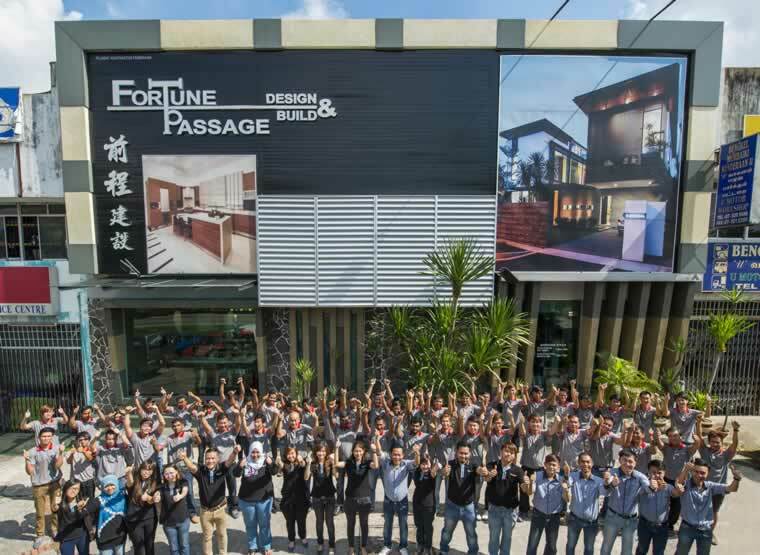 Fortune Passage Design & Build Sdn Bhd established since 1999. We are specialized in built & remodelling bungalow, residential design, retail & office design, space planning, exhibition booth, showhouse and all kind of renovation works. Our goal is understanding customer strategic needs and help them to create their dreams home become true in life. Beside that, we also have a professional designer team who have skill, integrit and passion; they always prepared to give their professional opinion and advise to our clients. In past experience, our commitment was identified by our clients. “ Devotion to each design project gives it life value and makes the entire space magically spiritual and amazing.